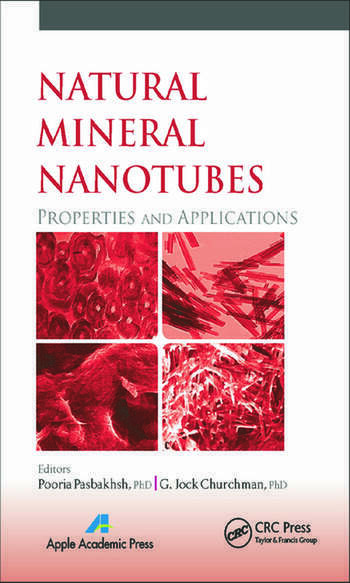 The book provides a wide introduction on history, minerology, geology, and the characteristics and application of different natural nanotubes. 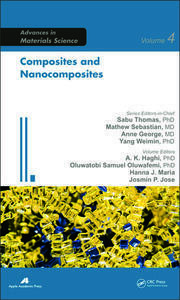 It is the first comprehensive book to discuss natural nanotubes, particularly halloysite nanotubes. 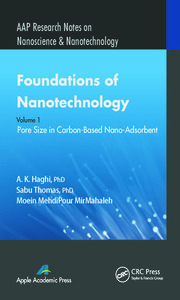 The book will be useful mainly for postgraduate students and researchers working on the application of natural nanotubes. It will also be useful for those companies or researchers that focus on the design of materials and composites for sustainability. Pooria Pasbakhsh, PhD, is a lecturer at the School of Engineering at Monash University in Selangor, Malaysia since 2010 with a specialty in polymer nanocomposites and nanomaterials. 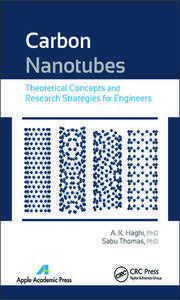 He has published several journal and conference papers on characterization and applications of halloysite nanotubes. Since 2007 his research has been supported by the Ministry of Higher Education of Malaysia, Monash University, University of Science Malaysia and Geological Survey of South Australia Resources and Energy Group where he did a short postdoc on characterization of various halloysite nanotubes from different origins at the University of Adelaide in Australia. His current research interests concern the preparation, characterization, and modeling of bionanocomposites for packaging and medical applications. He is a member of the Institute of Materials, Minerals and Mining (UK), and the Australian Clay Minerals Society. G. Jock Churchman, PhD, is adjunct senior lecturer in soils at the University of Adelaide and part-time associate professor at the Centre for Environment Risk Assessment and Remediation at the University of South Australia. He continues trying to understand why halloysite contains interlayer water (his specific PhD thesis topic) while also pursuing many other research topics on clays, especially in soils. He was employed in the New Zealand Soil Bureau, DSIR for 16 years and in CSIRO Division of Soils (later Land and Water) for 14 years, and has held visiting fellowships in soil science at Reading University and the University of Western Australia. He is a former editor (now emeritus) of the journal of Applied Clay Science. In 2005, he completed a BA (Hons) in philosophy from Flinders University of South Australia with a thesis on the philosophical status of soil science. He obtained degrees in chemistry from Otago University in his native New Zealand. He studied the physical chemistry of halloysite for his PhD, under a fellowship from the New Zealand pottery and ceramics industry and carried out research for this industry for a short time before beginning a two-year post-doctoral fellowship in soil science at the University of Wisconsin, USA.